Yes! I want silver! I want gold! I want copper! If you are like me, now we can have it all in one earring! 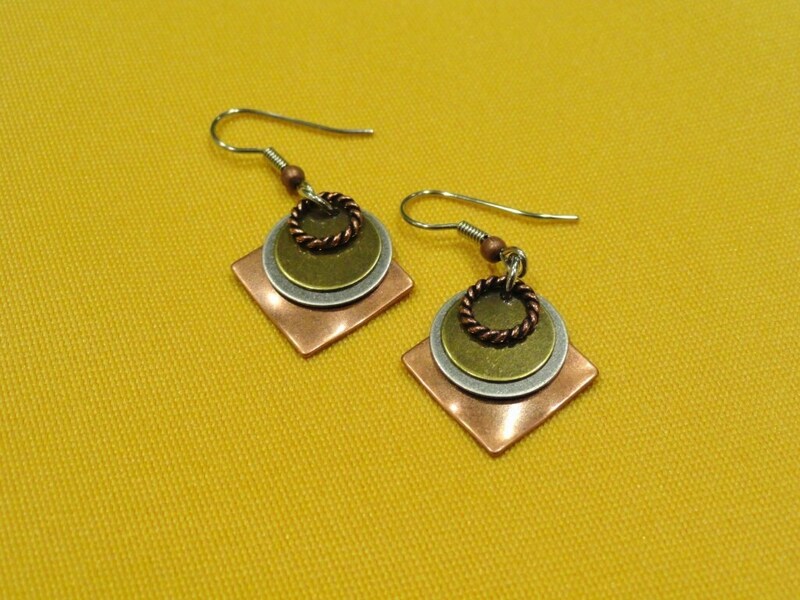 This wonderful 4 layer earring starts with an antique copper square hanging diagonally under an antique silver disc under a smaller antique gold disc under an antique copper twisted ring. They all hang happily together on an antique copper ring from a surgical steel earwire accented with an antique copper bead. This is the earring I have reached for over and over since we designed it!